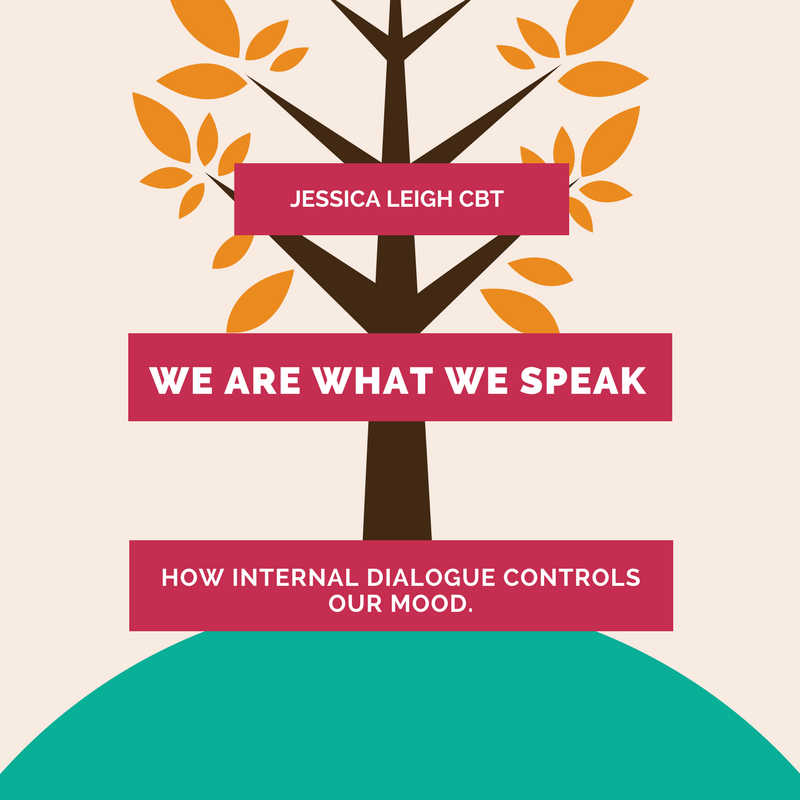 We are what we speak: How internal dialogue controls our mood. This whole conversation happens in a matter of seconds. This mass of internal dialogue and emotional reasoning is a recurrent form of communication, and it is stealing your happiness. But this is how our minds work, going constantly back and forth between a completely tearing ourselves apart, alongside catastrophizing and black and white thinking. Sometimes this internal dialogue is quiet, sometimes it's loud, but it's always there, that inner critic telling you you're not good enough, that you ‘should’ be better at something or setting some form of unrealistic standard. This internal dialogue filters out life, categorizes people and gives you a step by step guide to focuses on failures, and ignoring the successes (however small). According to research, we have 50,000 thoughts per day. And these thoughts are intertwined with your mood. While we have little or no say in those automatic and reactionary thoughts, we have a massive say in which of those thoughts we attach significance to. The difficulty lies when people only notice how they feel, they don’t realise that how you feel is the end of the road, in retrospective, the journey began at the start of your internal dialogue when you ripped yourself apart for an irrelevant mistake. Look at your own life where you use terms like “This is impossible”, “I can’t”, “I’m confused”, “This is too much” or “I’m trying”. Each of these (and a litany of others), gives rise to certain emotional states (anger, frustration, resentment, hopelessness, etc), all of which work against you in your endeavour. How does feeling hopeless help in that job search, or being frustrated help in healing your relationship, or feeling incompetent get you that promotion? It doesn’t. It weighs you down and dampens your enthusiasm. As a simple example, changing “It’s impossible” to “I haven’t worked it out yet” has a remarkable impact on the way in which you deal with certain problems. Your emotional state shifts. In very real terms, how you talk about what you are dealing with either work for or against you. Language really is that important. After all, you are what you speak.